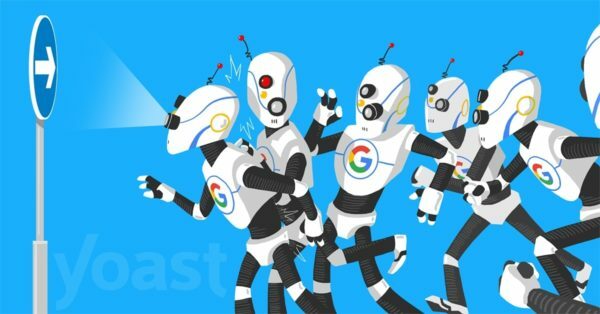 We’ve said it in 2009, and we’ll say it again: it keeps amazing us that there are still people using just a robots.txt files to prevent indexing of their site in Google or Bing. As a result, their site shows up in the search engines anyway. You know why it keeps amazing us? Because robots.txt doesn’t actually do the latter, even though it does prevent indexing of your site. Let me explain how this works in this post. For more on robots.txt, please read robots.txt: the ultimate guide. The process of downloading a site or a page’s content to the server of the search engine, thereby adding it to its “index”. Showing a site in the search result pages (aka SERPs). So, while the most common process goes from Indexing to Listing, a site doesn’t have to be indexed to be listed. If a link points to a page, domain or wherever, Google follows that link. If the robots.txt on that domain prevents indexing of that page by a search engine, it’ll still show the URL in the results if it can gather from other variables that it might be worth looking at. In the old days, that could have been DMOZ or the Yahoo directory, but I can imagine Google using, for instance, your My Business details these days, or the old data from these projects. There are more sites that summarize your website, right. If you have reasons to prevent indexing of your website, adding that request to the specific page you want to block like Matt is talking about, is still the right way to go. But you’ll need to inform Google about that meta robots tag. So, if you want to effectively hide pages from the search engines you need them to index those pages. Even though that might seem contradictory. There are two ways of doing that. 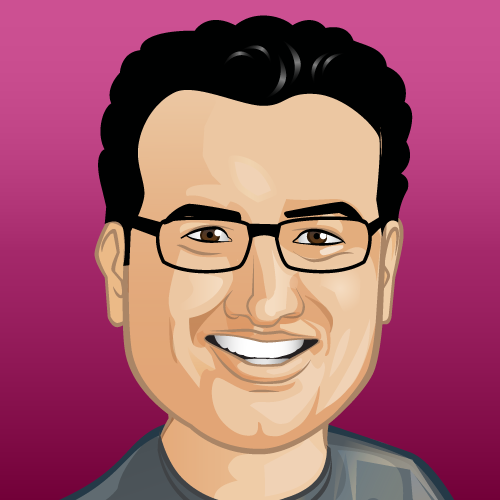 If you use Yoast SEO, this is super easy! No need to add the code yourself. 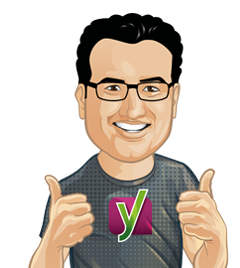 Learn how to add a noindex tag with Yoast SEO here. The issue with a tag like that though, is that you have to add it to each and every page. And this would have the effect that that entire site can be indexed. But would never be shown in the search results. So, get rid of that robots.txt file with Disallow: / in it. Use the X-Robots-Tag or that meta robots tag instead! Since my robots.txt its only a lot of ‘Disallow’ lines I’ll need to erase every line code? I feel really dumb. How can “noindex” mean the site CAN be indexed? Hi Steve, the terminology is quite confusing :-) it would be better to say the site can be indexed, but not shown in the search results. Thanks Christoph, I run into at least 4 sites per year that the client’s website robots.txt file is set to no index. The devil is in the details. I would even add one thing, when I develop a new website (or relaunch), I use the .htaccess to block google and nosy visitors. I mostly have a static IP so I add this to a Whitelist. This is my addition to the htaccess. The .htpasswd user can be something very very basic like admin/password, as I just want to block search engines and nosy eyes. The disadvantage at first: you block everything, so it’s useless for a partial solution. besides blocking search engines, you block nosy visitors, with the addition of the whitelisted IP addresses, you can share the link for all users behind that IP (inside your company for example), and you can add more IPs if needed. And one of the biggest advantages, you cannot forget to remove it when going live, as this will directly throw an error when checking from your mobile phone, or the first visitors will drop you a message “hey, it says enter a password, there is something wrong”. If you forget the robots.txt or other things alike, you are live without allowing google to enter the site. In my former company a member plugin was used to block google, but without any further measurements, and without talking to me or to the SEO manager, in the end there were a lot of indexed websites with the login mask of the used member plugin. Resulting in some grey hair and a useless work to get rid these pages again for the SEO manager. people of blogging, Thanks for sharing. Very Informative Article..Thank you so much..